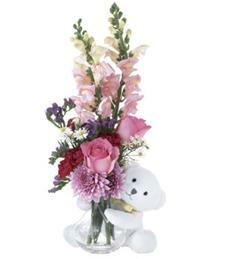 His arms brimming with a beautiful bouquet, our little ivory bear still begs for a big hug from your sweetheart! 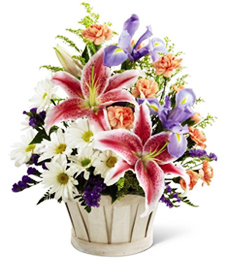 Precious pink and purple hues deliver your message sweetly, while classic roses will delight amid an assortment of fragrant fresh flowers! 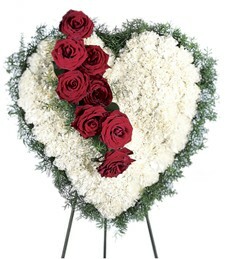 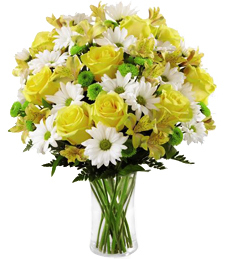 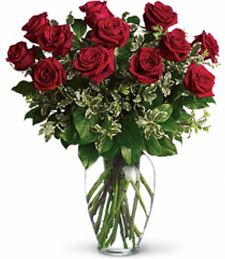 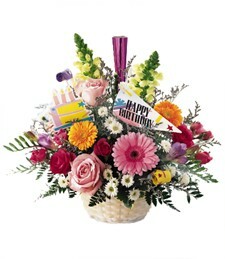 This keepsake is available in most citiesHand Delivered by top ranked local florist.